The San Diego Zoo is internationally known for its commitment to conservation, protection and, yes, exhibition of animals and plants throughout the world. Covering about 100 acres, the zoocontainsmore than 3,700 rare and endangered animals representing more than 650 species and subspecies. The zoo is also famous for its work with breeding endangered giant pandas. Along with a 1,800acreSafari Park, the zoo offers a globalconservation programknown as The San Diego Zoo Institute for Conservation Research. This organization works in preservation, gene banking and disease control for animals in the wild. The zoo also has anadoption programthrough which anyone can adopt an animal, supporting both efforts in the wild and the animals in the park. 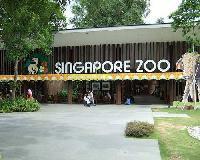 Formerly known as the Singapore Zoological Gardens, the Singapore Zoo first opened in 1973. It is worldfamous for itsopen concept, where animals are separated from visitors only by wet or dry moats. However, glass still protects visitors from the zoos more carnivorous residents. The habitats are designed to resemble the animals natural habitats as much as possible. The zoo also supports severalconservation programs, including breeding programs that have nurtured king cobras, white rhinos and orangutans. The zoo operates theWildlife Reserves Singapore Conservation Fund,which works to protect natural habitats. The Chester Zoo opened in 1931, thanks to the efforts of animal enthusiast George Mottershead. Mottershead first visited a Manchester zoo as a child in 1903, only to be horrified by the dank, dark conditions of the enclosures. 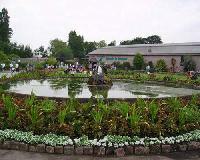 The Chester Zoo was designed as a modern facility, inspired by the thenemerging European tradition of using moats to separate animals from visitors instead of bars, as well as extensive space for animal enclosures. Since Mottersheads time, the zoo has maintained its commitment to animal welfare, which includes several programs in field conservation and breeding. Today, the 110acre zoo includes awardwinning gardens and more than 8,000 animals. 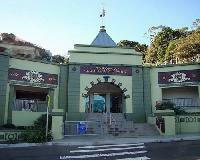 The 52acreTaronga Zooopened in 1916, where it is now home to more than 2,600 animals and 340 species. In 2000, the zoo began a $250 million overhaul, part of which involved the controversial export of five Asian elephants from Thailand for a breeding program. In 2009, the zoo became famous as the location of Australias first live elephant birth. TheTaronga Conversation Society Australiaworks to promote animal conversation, including several breeding programs. Recently, the zooplaced500 zoobred Southern Corroboree frog eggs into the wild in the Kosciuszko National Park. 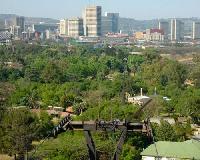 This 210acre zoo dates to 1899, housing the largest zoo in South Africa. The zoois proudof the diversity of its residents, including 3,117 specimens of 209 mammal species, 1,358 specimens of 202 bird species, 3,871 specimens of 190 fish species, 388 specimens of 4 invertebrate species, 309 specimens of 93 reptile species, and 44 specimens of 7 amphibian species. The zoo, which is a partner facility of theNational Research Foundation, offers severalprogramsdesigned to enrich the animals' existence, including sensory, social and cognitive stimulations, as well as feeding programs designed to stimulate the animals hunting, foraging and problemsolving skills. 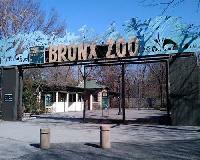 TheBronx Zoofirst opened its doors in 1899 after Fordham University sold the land to the city on the condition that it be used for a zoo. 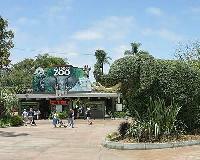 Today, the zoo consists of 265 acres, making it one of the worlds largest metropolitan zoos. It is one of four institutions managed by theWildlife Conservation Societyand is home to more than 4,000 animals. The zoo has several animalenrichment programs designed to facilitate the natural instincts of its residents. A member of the Association of Zoos and Aquariums, the zooworksto maintain genetically distinct populations in zoos and in the wild. 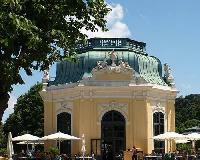 This85acre zooopened its doors in 1844, the first of its kind in Germany. Only 91 animals survived the destruction caused by World War II; however, the institute rose from the ashes to become one of the largest zoos in the world. It exhibits about 14,000 animals and 1,400 species. The zoo is alsoinvolvedin several conservation programs, including collaborations with the Worldwide Fund for Nature in habitat preservation both in Europe and abroad, as well as the preservation of species like the shortnecked giraffe and the giant panda. The London Zoo is the worlds oldest scientific zoo, opened in 1828 for the purpose of scientific study. It was opened to the public in 1847 and now houses 755 species of animals throughout its 36 acres of land. This zoo, sometimes referred to as Regents Zoo, is comprised of over 16,000 individual animals. The most recent project being undertaken by the zoo is the Tiger S.O.S. program, which is intended to raise funds to help save the Sumatran Tiger. 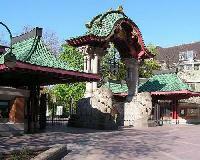 Opened in 1864, the Moscow Zoo is among the oldest zoos in Europe. Home to around 927 species, the zoo spreads over an area approximately 53 acres big and houses over 6,000 individual animals. 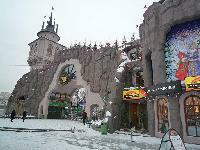 The zoo was recently renovated in the 1990?s, expanding the property of the zoo and developing a footbridge that connected the two parts of the zoo that were previously separated by Bolshaya Gruzinskaya Street. The newest exhibits for this zoo include a sea aquarium, an aviary, a sea lion exhibit and new attractions for children.